There was a secondary school serving Christchurch which used to be between Oldham Rd and Taunton Rd, opposite the Hop Pole pub. Does anyone know when it was closed? 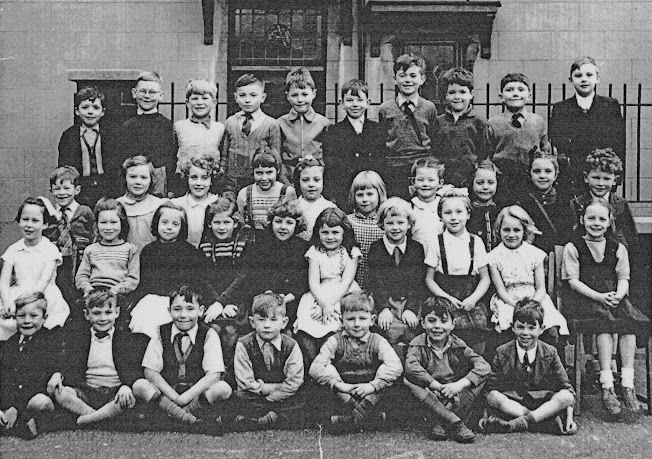 Hi Maxxie, this photo is of, maybe, Infants 4 or Junior 1, St. Ann's, 1955 or 56. I'm sure I have another one somewhere. I'll go on a photo hunt and see if I can find it. I'd be interested to know if you recognise any of the faces. I can still name quite a few of my classmates and wonder where and what has happened to them over the years. Looking at the photo from the left 2nd row from bottom 5th girl in is my sister Yvonne Stanfield.